A powerful group of Palestinian capitalists are profiting off occupation. While most living under Israeli occupation are struggling to survive, a powerful group of Palestinian capitalists are thriving and growing in influence. The cost for this prosperity, all too often, is their engagement in “economic normalization” projects — partnerships with Israeli firms as though they were normal business partners rather than an occupying power. Since Oslo, and in recent years especially, the power of these capitalists in the occupied territory has been rising in an unprecedented manner. They can be divided into three main groups. “Returnee” capitalists, comprising a Palestinian bourgeoisie that had emerged in Arab countries, particularly the Gulf states, as well as in North America and Europe. Many of these businessmen had strong ties to the nascent Palestinian Authority. Others are local capitalists, comprised of two main subgroups: large landowners who historically enjoyed considerable political and social influence over traditional social structures, and interlocutors who accumulated wealth as subcontractors for Israeli companies after the 1967 occupation. 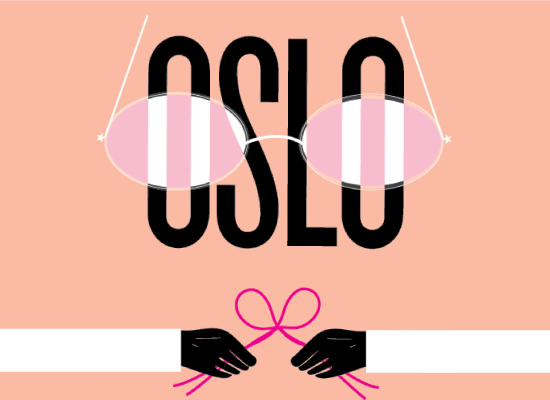 And last, the nouveau riche who have particularly benefited from post–Oslo shifts. Palestinian businessmen have struggled with statelessness and sought the security that a state would provide, where their companies and profits would be better protected from regional instability. As a result, many of them supported the Oslo Accords as a key step towards establishing a Palestinian state, some even imagining that Oslo’s “peace dividends” would transform the West Bank and Gaza into the Singapore of the Middle East. Early signs of capitalist influence on the nascent Palestinian Authority (PA) can be seen in Article 21 of the Palestinian basic law, which specifies that “the economic system in Palestine shall be based on the principles of a free market economy.” Ironically, even the United States, the global driver of free-market capitalism, has a constitution not nearly so inflexible. The open espousal of neoliberalism by the PA has helped to create an institutional framework that enables economic interest groups to manipulate policies in the service of private ends. Neoliberalism combined with political authoritarianism and corruption consolidated what can be described as the PA’s “crony capitalism.” From the earliest days, the cronyism was expressed in special relations between powerful business people and the PA’s political and security elite, excluding the majority of Palestinians from access to meaningful economic opportunity. During the 1990s, the special relationship between certain Palestinian capitalists and ruling political circles within the PA led to the centralization of political and economic power in the hands of a few individuals who rapidly managed to transform the national project into a game of interest politics. This was especially the case with regard to the PA elite’s political and security collusion with diaspora conglomerates in managing large-scale public-private monopolies. Monopolies protected by the PA involved over twenty-five key imported commodities, including flour, sugar, oil, frozen meats, cigarettes, live animals, cement, aggregate, steel, wood, tobacco, and petroleum. As a consequence, monopolies have had a devastating impact on the Palestinian economy and small-businesses, and, conversely, benefited the Israeli economy. A number of former Israeli political and military officials became, after their retirement, business partners of some Palestinian capitalists and PA political elites. In return, Israel offered the Palestinian businessmen and politicians special privileges such as access to permits and more freedom of movement and trade. With the appointment of the former Prime Minister Salam Fayyad and the government programs he introduced since 2008, the capitalists’ influence over the political establishment increased. Businessmen and pro-capitalist technocrats often occupied key ministerial positions in Fayyad’s governments. The “reform” of the banking sector that took place under Fayyad’s governance is an important aspect of rising capitalist political influence. These reforms made it possible for the government to contract long-term loans that amounted, according to a recent estimate, to some $4.2 billion in 2013 — that is, as much as 50% of the GDP, with annual interest running at $200 million. For an economy largely dependent on international aid, this high level of public-sector indebtedness is alarming. The ways in which the money was spent and how the PA will pay off its debts remain a mystery. The level of public debt enables capitalists to pressure the PA to adjust its policies in conformity with the interests of large private firms, by threatening to withdraw some investments or to hold back others, as Alaa Tartir noted in a recent study. Needless to say, ordinary people pay the cost, like when the PA raised income tax and cut expenditure in early 2012. The role of these Palestinian capitalists’ has even become prominent in the international political sphere. They put their weight behind US Secretary of State John Kerry’s efforts to drive through a peace settlement with their joint Palestinian-Israeli Breaking the Impasse plan despite the dire impact this would have on Palestinian rights. Moreover, the plan was reportedly prepared without the participation of either Palestinian civil society or the PA itself. A crucial aspect of social control is the facilitation of private lending, which encouraged a culture of consumption and pushed many people into the debt trap. According to the Palestine Monetary Fund, individual loans shot up to about $1 billion US dollars in 2013 from about $494 million in 2009. It is estimated that 75% of public sector employees (94,000 out of 153,000) are in debt. The personal debt is primarily used to finance consumption (including mortgages, cars, marriage costs, and electric goods) and is rarely invested in productive activities. This state of personal indebtedness promotes a sense of individualism and drives personal private concerns, systemically pushing people to abandon crucial national issues. It fosters political apathy and undermines critical thinking and action against the oppressive nature of the system. Yet another method of social control is the exploitation of workers that occurs in factories owned by some local capitalists, where workers are paid much less than the government’s recently announced private sector minimum wage of 1,450 NIS ($377). This exploitation and control of Palestinian labor force is exacerbated by the lack of effective labor unions, which have been dramatically weakened by both the PA and capitalists alike. Groups working for Palestinian human rights and self-determination have openly denounced some of the Palestinian capitalists. The capitalists counter by claiming that they are simply seeking to serve the Palestinian economy and people’s steadfastness. In fact, Palestinian-Israeli joint projects represent the ugliest face of normalization because of their scale and size and, most importantly, because they help the occupying power to profit and to further infiltrate its structures into the occupied territory. The industrial zones in the occupied territory are driven by the same logic of the Qualifying Industrial Zone (QIZ) in Jordan and Egypt. They give life to Shimon Peres’ ambition of a “New Middle East” where Israel is seen as the hegemonic economic center of the region. Industrial zones also integrate Palestinian-Israeli-regional capital into a remorseless machine to exploit cheap labor — Palestinian as well as foreign imported labor. Even as they benefit a few local business elites, they advance the Israeli matrix of control and perpetuate its occupation. A recent report reveals that some Palestinian companies (Ramallah Mövenpick hotel, the Bank of Jordan, Jordan Ahli Bank, Cairo Amman Bank, Pal-Safe) are listed as clients of Netacs Ltd. This Israeli security company is owned by reserve Major-General Danny Rothschild, who commanded Israeli occupation forces in the West Bank and Southern Lebanon and worked in military intelligence. Such links reveal the ties between major Palestinian capitalists and Israeli capitalists, including those sectors closest to the military. The political and social influence of Palestinian crony capitalists and their ongoing economic normalization of Israel’s occupation should alarm all those concerned about the future of the Palestinian cause. In chasing after profits without regard to Palestinian fundamental rights and national aspirations, they have counterpoised their interests to that of national liberation. Tariq Dana is assistant professor of political science at Hebron University in Palestine.